The Media Program for South East Europe has published a new handbook on entrepreneurial journalism, which is available to download free from the project’s website. The handbook is designed for journalists who want to become self-employed and develop their own websites. The book covers a lot of ground, from the basics of writing for an online audience, including some basic SEO tips, to identifying a profitable niche and building a community. The guide also provides a useful overview of designing a website and, crucially, the main models for monetising your content. 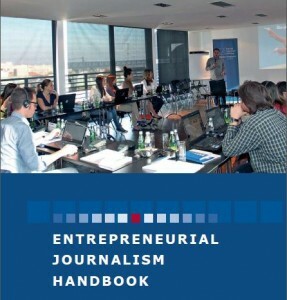 You can download the handbook from the Media Program for South East Europe website.